Disco enhancing – HubNut – celebrating the average! 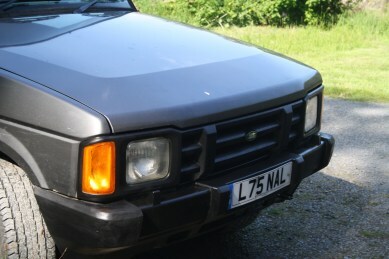 I still daren’t drive the Discovery, though the timing belt kit has now arrived and should be getting fitted next week. It will be very nice to be able to drive my new car again. Instead, I’ve been carrying out further improvements. The boot floor has been treated to a coat of Rustoleum and the interior has been refitted. It’s a lot nicer in there now and smells much less of cigarette smoke and dog. Then I started getting all cosmetic. I told myself that the shabby looks didn’t matter, because I was going to use it for green laning and possibly for Pay-and-Play sessions and/or trialing. Then I made the mistake of parking it outside my office/dining room window. The faded grey plastics and rusty front bumper – ‘improved’ with aluminium tape – were starting to really annoy me. 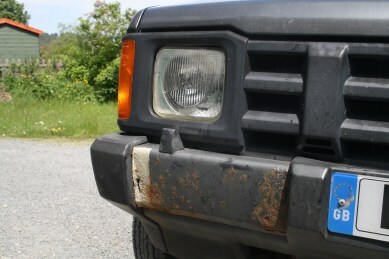 So, it was out with the Rustoleum once more, to give the metal part of the bumper a good coat of fresh paint. Then I rooted about in the garage until I found my Meguiar’s Vinyl and Plastic cleaner. It’s good stuff, working even though the plastic container got smashed ages ago. I also tidied up the front and rear wiper arms while I was at it. The results have been impressive. That’s better! It’s cleaned up nicely. I’m thrilled with the difference. Ultimately, that bumper still needs replacing – I simply painted over the aluminium tape which masks the missing metal beneath – but it’ll do just dandy for now. It’s taken years off the car. Of course, it still has a whopping great dent in the back corner, so it won’t be winning any shows just yet – probably because I’d never enter a vehicle for one anyway. It does at least look a little more cared for. 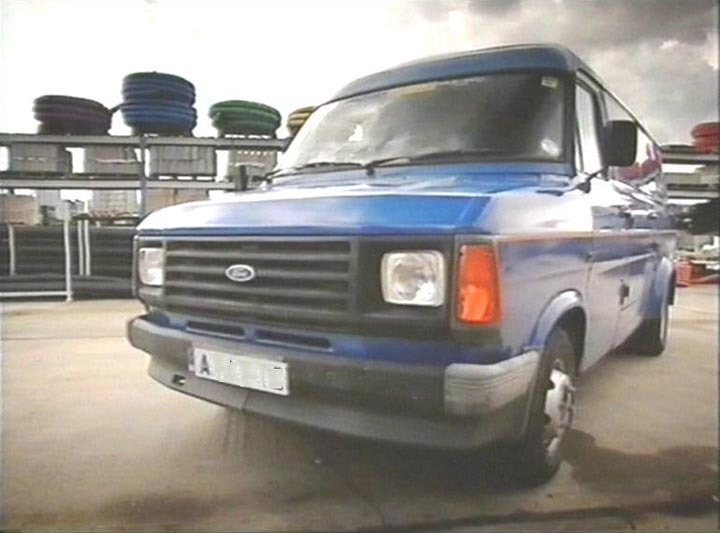 Incidentally, I’m really not sure how Land Rover avoided a lawsuit with Ford when you consider how the Discovery seems to have taken the nose of a facelifted Mk2 Transit van. In actual fact, the headlamps come from the Leyland-Daf 200/400 van range, so there’s more than just one commercial light fact. In other fleet news, the 2CV is awaiting a front brake overhaul, the BX has had a brake fettling session and is busy covering tourists in soot (I suspect a boost problem with the turbo) and the Mercedes is remaining resolutely unsold. The Green 2CV will be off to a new home later in the month – I really do need to get this fleet back under control. How I’m ruing my words earlier in the year when I confidently predicted that I wouldn’t buy as many cars this year. Oh well! Perhaps now things will settle down – or is that too dangerous a statement to make?